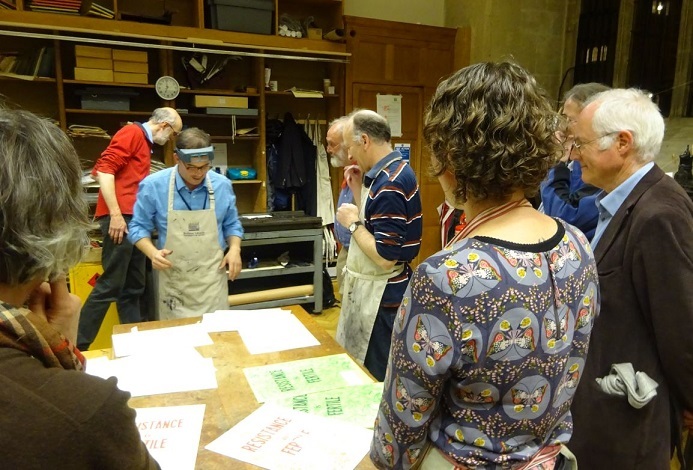 Russell Maret, 2017 printer-in-residence at the Bodleian, led a seminar looking at old and new printings of Shakespeare. 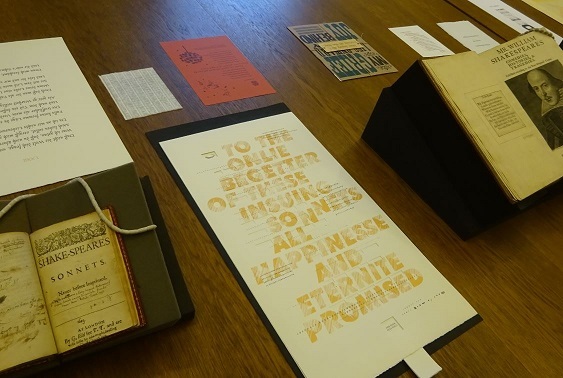 Participating were some of the printers who had contributed to the Bodleian’s new collection of Shakespeare’s sonnets printed in 2016. 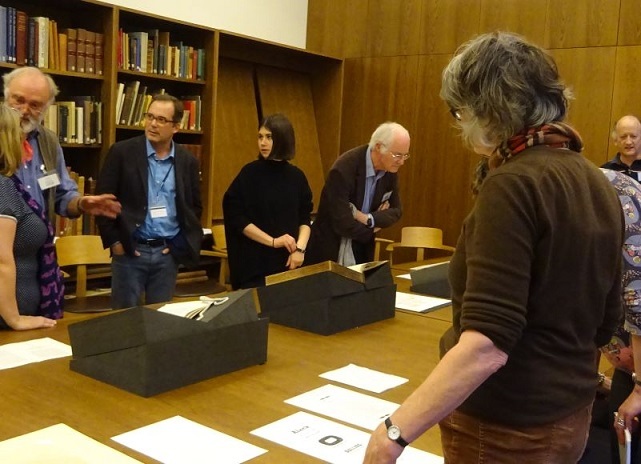 The group discussed questions of fidelity to the early printed texts, artistic interpretation, and personal responses to the poems. This last sparked thoughts of adjourning the seminar, but there was some work to do first. 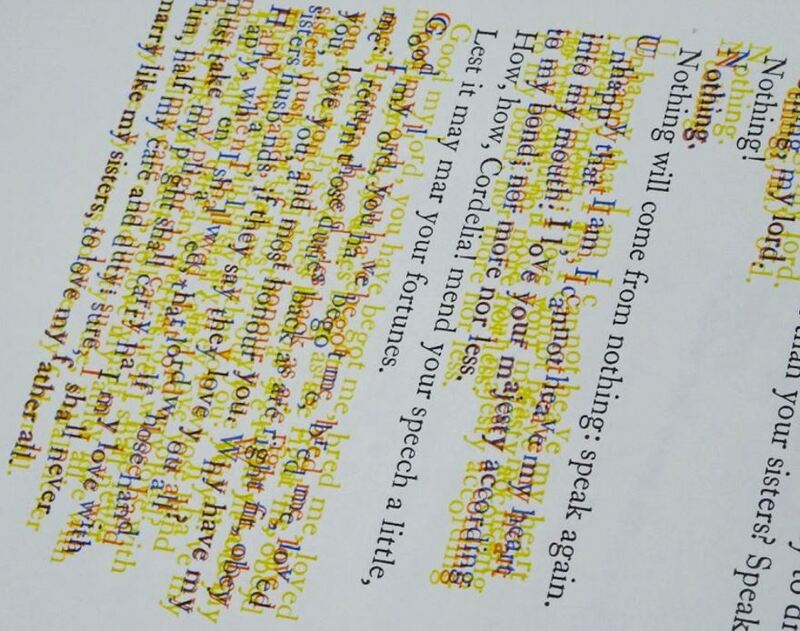 The printers’ expertise was put to work at the Bodleian’s Bibliographical Press to make a keepsake of the occasion; lines from King Lear in three colours, with unlocked type interpreting loosening coherence.